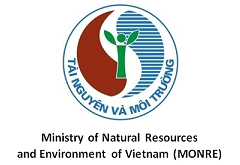 Objectives:The purpose of the workshop is to bring together national and international groundwater experts to review the state of groundwater monitoring in the region, to introduce the Global Groundwater Monitoring Network (GGMN) programme and its practical implementation in Vietnam. The workshop will address new monitoring technologies, groundwater monitoring optimisation and other related aspects of monitoring networks. The workshop is also intended to build synergies and strengthen regional cooperation. Background information: IGRAC, the International Groundwater Resources Assessment Centre is UNESCO and WMO centre that facilitates and promotes sharing of information and knowledge required for sustainable development of groundwater resources worldwide. Recognizing the lack of groundwater data around the world, IGRAC took initiative to establish the Global Groundwater Monitoring Network (GGMN). GGMN is a UNESCO programme, implemented by IGRAC and supported by many global and regional partners. The GGMN is a participative, web-based network of networks, set up to improve quality and accessibility of groundwater monitoring information and subsequently our knowledge on the state of groundwater resources. The GGMN consists of a people network and of an interactive portal for storage, processing and dissemination of groundwater data. The national groundwater experts present in the workshop will have the opportunity to acquire an active role in the GGMN People Network and to continue to use the GGMN interactive portal. 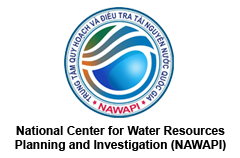 Target participants: Water planning professionals, managers, technicians of water services, civil engineers, official of public water authorities, researchers, graduated students, etc. VENUE: 3rd Oct: Almaz Convention Center, Sai Dong, Longbien, Hanoi; 4th- 5th Oct: NAWAPI’s Headquarter, 93/95 Vu Xuan Thieu Street, Long Bien, Hanoi. Training certificate will be awarded to participants who fulfill all requirement of this international training course. The accommodation remains the responsibility of the participants during the course.